46616 N River Dr Davenport, WA. | MLS# 201126255 | Cooper Realty Services (509) 599-1111 | Spokane WA Real Estate | Contact us to request more information about our Homes for Sale in the Spokane WA area. Huge 45K price redux! 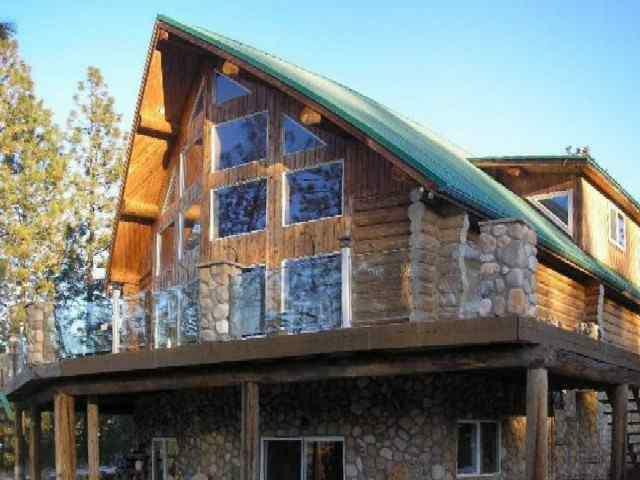 3,600 sf log lodge home. 7acres, 4BR 3Bth 1310 frontage line LK Roosevelt.Short walk to waterfront sandy beaches. Logs are Canada spruce handcrafted on site. Daylight bsmt/2 guest BR,1 bath, game room,wine room,theater area, 80sf tiled steam room/shower. Main floor with chefs kitchen and 3 living areas or BR. Loft grand suite-log/tile shower. Great for reunion size gatherings. Needs TLC but very impressive!! Selling Office: Katz Realty, Inc.